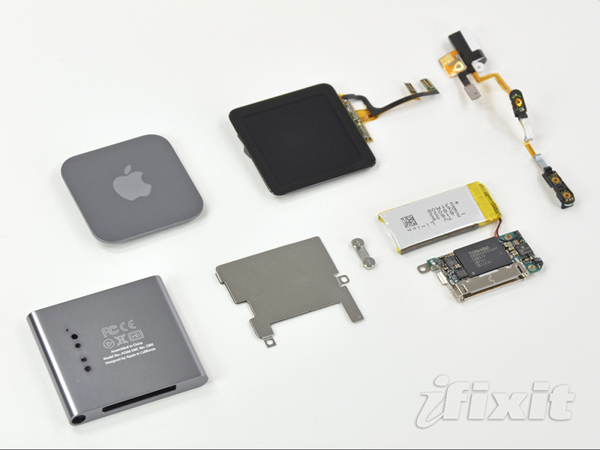 A report from the teardown experts at iFixit shows that the new model of Apple's popular music player has an identical internal build when compared to the previous generation, with most components carried over from last year. The two most noteworthy component changes to the nano's hardware are an updated Apple processor and a switch from last year's Toshiba flash memory to modules supplied by SanDisk. 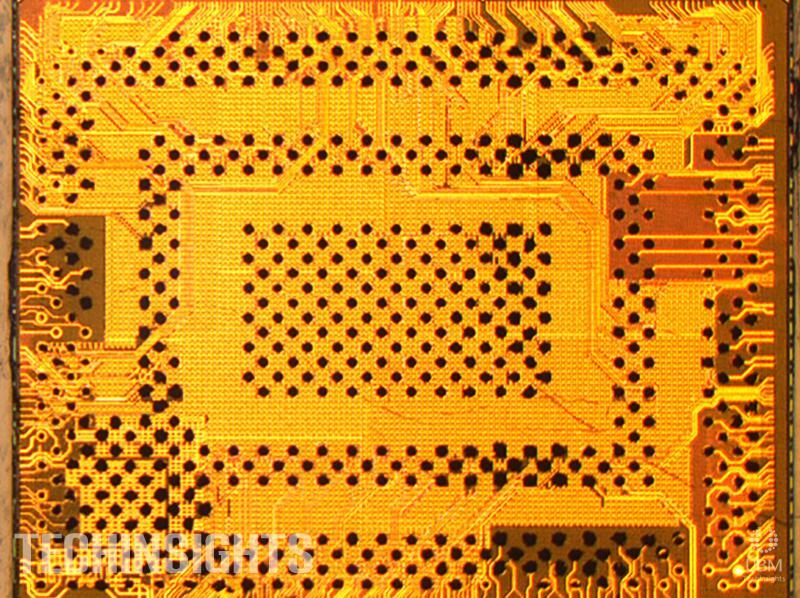 The new processor, a repackaged Samsung stacked package-on-package chip, carries an ARM application processor and 512 Mbits (64 MB) of mobile DDR SDRAM, reports TechInsights. The new nano features re-worked software with a refreshed UI sporting 16 new clocks, and a firmware update that gives users an "improved fitness experience" without the need for a Nike+ sensor. The new software has also been made available to owners of last year's model. 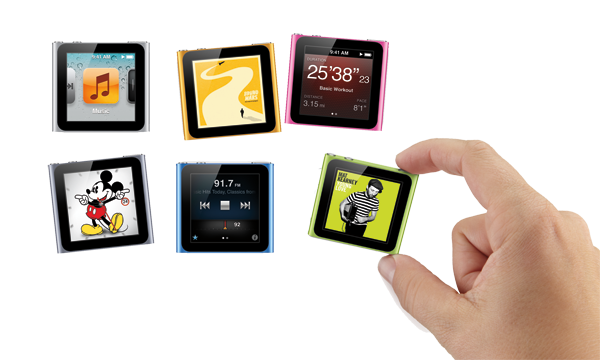 Apple acknowledged that some users had taken to wearing the iPod nano as a watch. Phil Schiller, Apple's senior vice president of Worldwide Product Marketing, said the company "thought that was really fun," so it had designed the new clock faces, which include Mickey Mouse and Kermit the Frog themes. New Apple processor from seventh-generation iPod. 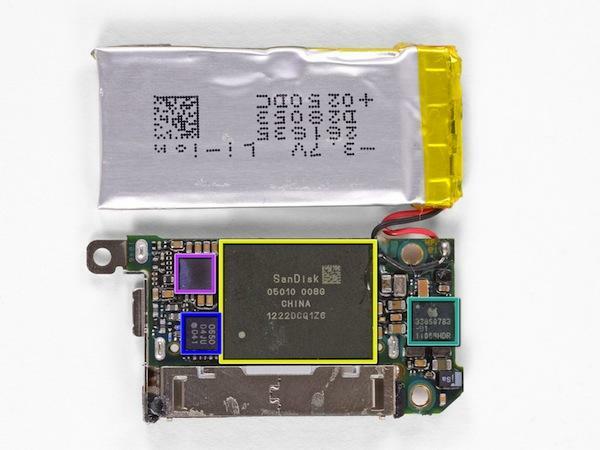 Teardown of seventh-generation iPod nano by iFixit. But for some, the most compelling feature of the new nano may be its reduced price. The 8GB model now sells for $129, while the 16GB nano is now $149, down from $149 and $179, respectively. The device continues to feature the same 240-by-240 pixel multitouch display, as well as an identical logic board and chipset. iFixit gives the new nano a moderately difficult repairability score of 5 out of 10, mostly due to the need for a heat gun to remove the screen and the battery being soldered directly to the logic board, making replacement cumbersome.